When I was a little girl, and in a very bad mood, my mum would look at me intently and say “I can see a smile coming… It’s coming… There it is!” This would invariably make me smile which was of course infuriating for me but always broke the tension of being cross. 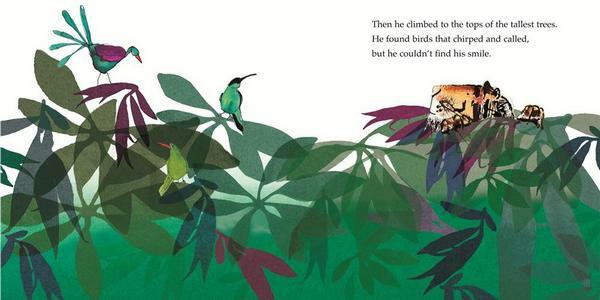 The same trick works with my own children but for more challenging ‘lost smile’ problems, this stunning picture book about a tiger named Augustus is a winner. 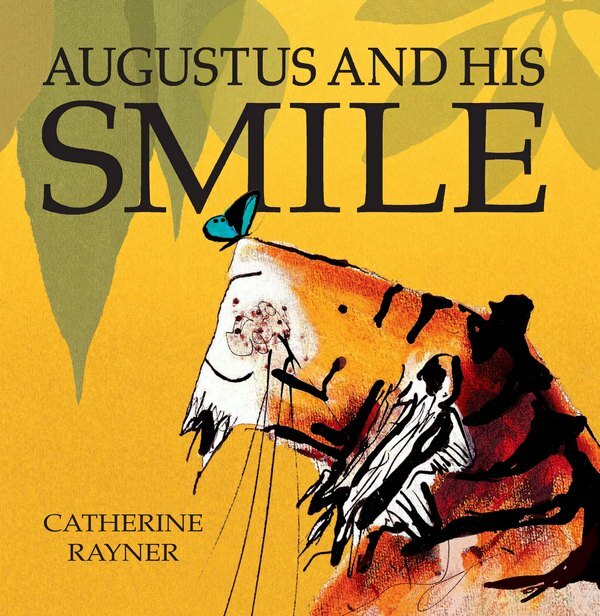 Augustus the tiger is the subject of Catherine Rayner’s award-winning book, Augustus and His Smile. Despite being large and fearless, Augustus is sad because he has lost his smile. He goes on a journey to find it, searching through trees, scaling mountains, swimming to the bottom of the deepest oceans and crossing parched deserts but all to no avail. Only when it begins to rain and a puddle forms does he find his smile staring back from his reflection – it was there, under his nose, the whole time! Older children may be able to apply Augustus’s wisdom to their own circumstances and appreciate that happiness is there for the taking in everyday life. 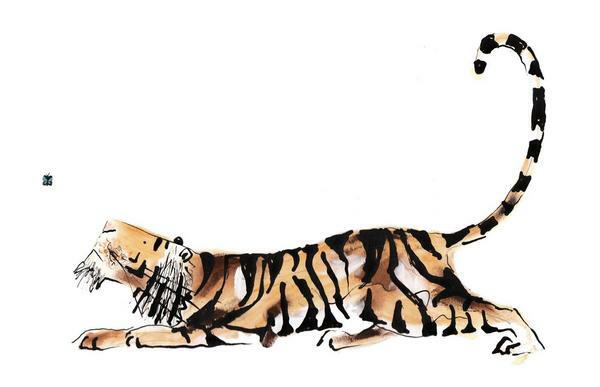 But really, you could own this book for the magnificent illustrations alone. 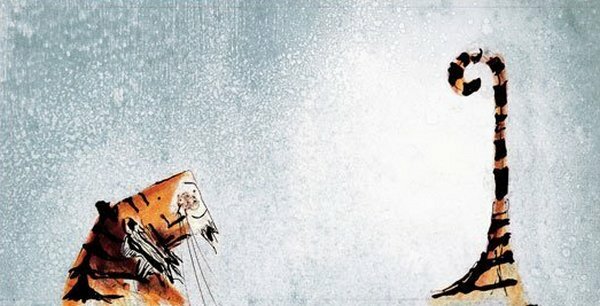 From the very first page, where Augustus’s footprints hint at what’s to come to the closing endpapers where we see more footprints and a swish of Augustus’s tail, every illustration in this book commands attention. Dramatic black lines, both bold and sketchy outline Augustus, and colour is provided with brilliant backdrops – vibrant greens in the jungle, a purple mountain haze, turquoise sea, flat golden sands featuring Augustus’s dark shadow and finally the soft, cooling grey of rain. Although static, Augustus’s movements vibrate off the page – every arch of his back, his magnificent leaps and his inquisitive crouch. Augustus and His Smile was first published in 2006 and has been re-released in Australia as a paperback picture book. It’s suitable for children aged three years and over. Find it in all good book shops or online at Fishpond.